The best thing about an International holiday is when all your visa hassles are taken care of without you having to make numerous visits to the embassy and waiting in the long queues. What's better? When the destination you are travelling to has visa on arrival for Indians. There are more than 50 countries around the world that offer visa on arrival for Indian passport holders. The process is extremely simple; you need a few documents and letters, and most importantly, you need a plan! So plan your holiday right away with these visa on arrival holiday destinations. 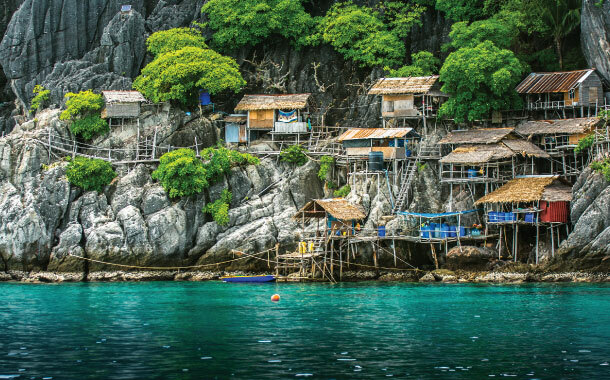 The party capital of the Southeast Asia, Thailand needs no introduction. There’s no dearth of activities to do in Thailand. From water sports, beach parties, sightseeing to food trail and shopping at the night market, Thailand will be a holiday to remember. Thailand visa on arrival facility makes it all the more easy for Indian travellers to visit the destination. Thailand is a year-round destination, but November - March happens to be the peak tourist season. 1) Passport validity - An original passport with a minimum validity of 30 days is required, with two blank pages for visa stamps. If you have any old passports, attach them as well. 2) Documents - 1 Thailand visa form, hotel confirmation, airline reservation, covering letter stating the duration and purpose of the visit, 2 recent passport size photographs, not more than three months old. 3) Duration of visa - A maximum visa valid up to 15 days can be obtained on arrival. This landlocked country offers a magnanimous view of the majestic Himalayas. 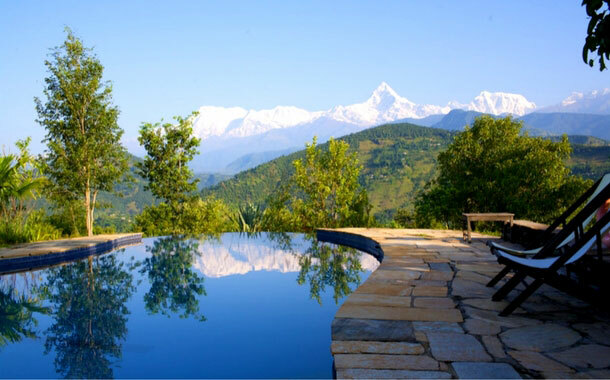 Nestled in the eastern end of the Himalayas, it offers a breathtaking view wherever you look. Along with the scenic beauty, experience the rich cultural heritage of the largest Buddhist country. Numerous nature treks await you, showing everything the country has to offer. 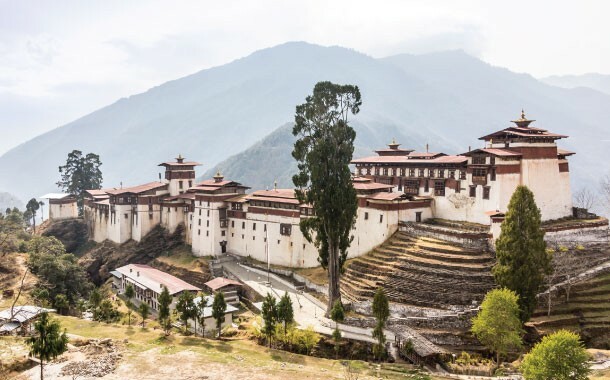 Spring and fall happen to be the best time to visit Bhutan, March, April, May offer blooming flowers and the best of nature, whereas September and October offer the best of the cultural experiences with their local festivals. 1) Passport validity - Indians can enter Bhutan basis a passport with a minimum validity of six months or a valid Voter ID. Indian residents do not require a visa for entering into Bhutan. 2) Documents - Any one of the following documents are required for entering into Bhutan. Either a passport with six months validity or a voters ID card, issued by the election commission of India. This beautiful country with its diverse geographical terrain, is home to one of the most magnificent views in the shape of Mount Everest, world’s highest mountain peak. Along with this phenomenal nature’s wonder, Nepal also offers a lot of adventure sports, making it a traveller’s paradise. A clear view of the peaks; pleasant weather as summer is waved off and winter begins to set in, makes Autumn (between September - November) the best time to visit. 1) Passport validity - A passport valid for a minimum of 6 moths is required. Indian nationals do not require a visa to enter Nepal. 2) Documents - Since a visa is not required, any one of the following documents is essential; passport, drivers license with photo, or any photo identity issued by the government of India. Cambodia is home to various temples which stand as a testament to the grandeur and artistic creativity of the Angkorian period. Its beauty and sublimity is unmatched. It’s the unique blend of its glorious past seen through its temples and the murkier Cambodian history, which is seen through its prisons making Cambodia a revetting travel experience. October to April is the best time to visit Cambodia as it is the dry season. The roads are at their best making it easy for travelling. 1) Passport validity - Original passport needed with a validity of more than six months and minimum two blank pages for the visa stamp. Attach all the old passports, if any. 2) Documents - 2 Cambodian visa forms, 2 recent passport size photos not more than three months old, proof of hotel confirmation, bank statements for last six months verified by a bank official and a covering letter stating the purpose and duration of the stay. Tourists will also have to show sufficient funds for stay and a return ticket. 3) Duration of visa - A visa for a maximum stay of 30 days is available to Indians at a minimum cost of USD 20, on providing a passport photo. This place offers a colourfully enriching experience in terms of its beautiful sights, tasty culinary delights and its busy streets. The market experiences of Vietnam compares to none other, making this local exotic experience enriching and worth the trip. If you plan on travelling to central Vietnam, January to September is your best bet. However if you plan to go to south Vietnam then going during November to May is preferable. 1) Passport validity - An original passport with a minimum validity of 6 months is required, with two blank pages for visa stamps. If you have any old passports, attach them as well. 2) Documents - 1 Vietnam visa form, hotel confirmation, airline reservation, covering letter stating the duration and purpose of the visit, 2 recent photographs, not more than three months old. 3) Duration of visa - With the possession of an approval letter, a maximum visa of 30 days can be obtained on arrival. With an avid interest shown by the nation in tourism, Laos is fast changing from a nation ‘simply forgotten’to a nation that is ‘simply beautiful’. 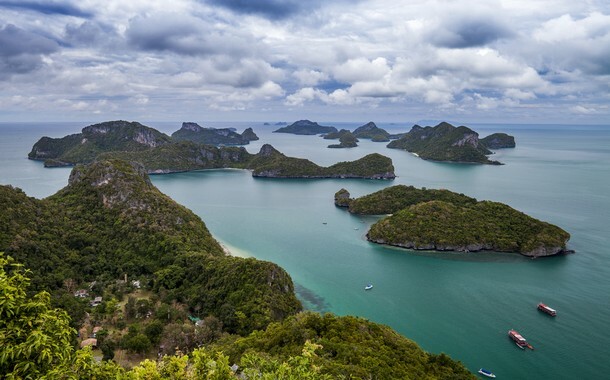 This small country offers the best of Southeast Asia in one place. A paradise for adventure lovers, this country offers activities like underwater river cave exploration, jungle zip-lines, kayaking and much more. Its abundant wildlife and gorgeous forests keep the nature lovers entertained making it an ideal destination for everyone. It’s a beautiful country to visit all year round, though preferably the best time of visit is between October and March, when the weather is dry and not hot or humid. 1) Passport validity - Passport should be valid for a minimum of 6 months from the date of application with three blank pages. 2) Documents - Laos visa application form, foreign exchange endorsements or copy of credit cards, original bank statements for the last six months, hotel and air ticket confirmation, covering letter on letter head if self employed, on plain paper if employed. 3) Duration of visa - Visa on arrival is applicable only at the following Laos airports; Vientiane, Luang Prabang and Pakse. The visa is applicable for a maximum period of 30 days with a fee of USD 30. Macau offers a variety of architectural pleasures in the form of its fortresses, buildings, temples and churches. It’s also a food lovers haven with its variety of delicious dishes; not to mention its thriving night life with its various casinos providing rich opportunities for gambling. Autumn and winter are the best seasons to visit Macau as the weather is favourable and pleasant, making September to February the ideal months for a holiday. 1) Passport validity - Macau offers a 30 days free visa entry to Indian nationals. However, if you wish to extend your stay beyond 30 days, you can do so by contacting the immigration services of Macau. 2) Documents - If you wish to extend your stay beyond the 30 day free period offered, then the following documents are necessary. Macau Visa application form, documents of financial status, travel and accommodation arrangements, proof and purpose of visit. A beautiful country offering a diverse range of experiences, from breathtakingly beautiful historical sites of the lost and ruined ancient Roman cities to the spiritually exalting biblical sites. All of this complemented by beautiful landscapes wherever you look and not to forget, the Dead Sea, makes this destination an unforgettable experience. All year round, but Spring (March to May) being the most beautiful time with favourable weather. 1) Passport validity - Original passport with a minimum of six month validity is required. 2) Documents - Jordan visa application form, covering letter stating the duration and purpose of the visit, bank statements for the past 6 months, air ticket and hotel booking confirmation. 3) Duration of visa - A visa up to 14 days is available on arrival. 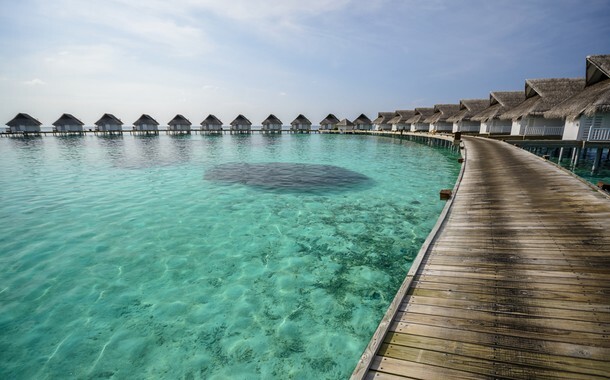 If you’re a beach lover that enjoy the ocean waves and the feel of soft sand beneath your feet, then Maldives is the place to go. These beautiful coral islands offer numerous beaches to choose from making it a relaxing and a fun holiday. The best time to visit Maldives is between December to April, with the clear sunny climate offering a few extra hours on the beach. 1) Passport validity - A passport valid for the duration of your stay. 2) Documents - A valid return ticket, enough money to cover the expenses of the stay (USD 150 per day) and a confirmed hotel reservation. 3) Duration of visa - Free 30 days visa on arrival. This vibrant city offers a confluence of the traditional in the form of its temples and cuisine and the modern with its towering skyscrapers. A shoppers paradise, this place has a lot to offer, including a happening night life. Hong Kong is a travel destination all year round, but September to February being the most preferable months of visit, due to its mild climate. 1) Passport validity - Original visa with a minimum of six months validity. 2) Documents - Visa application form, covering letter, proof of airline reservation and accommodation, proof of sufficient funds to cover the duration of the stay and return air ticket. 3) Duration of visa - Indian nationals can stay in Hong Kong free of visa for the first fourteen days after which a visa permit is required. The land of stupas, temples and pagodas, experience authentic Asian culture in a country not yet fully caught in the clutches of westernisation. Travelling to this beautiful luscious country will leave you feeling enriched. 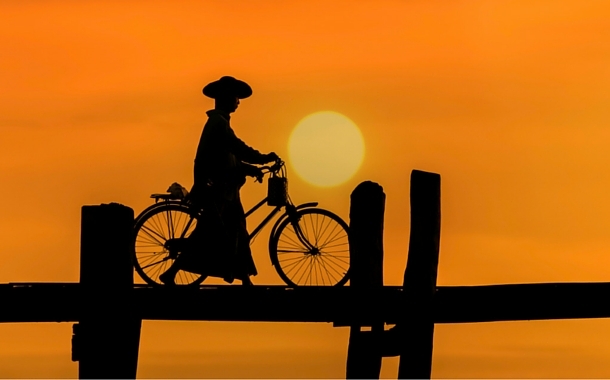 Beautiful throughout the year, the best time to visit Myanmar is during its dry season, between October and May. 1) Passport validity - Original passport with minimum six months validity and two blank pages for visa stamps. 2) Documents - Myanmar visa application form, photographs not more than three months old, confirmed return air ticket and hotel booking, covering letter with the purpose of your visit and duration of the visit. 3) Duration of visa - Visa is available for a duration of 28 days on arrival. A mesmerizing city with the flowing Mediterranean sea at its eastern coastline, this exotic state has beautiful landscapes and architectural marvels to offer; a pristine state, despite its complicated history. With pleasant and mild climate, the months of April, May and September, October become the best time to visit Israel. 1) Passport validity - Original passport with six months validity and two blank pages for the visa stamp along with a photocopy of the first and last page of the passport. Attach old passports if any. 2) Documents - 2 passport size photos not more than three months old, 2 visa application forms, covering letter with purpose and duration of the visit, bank statements of the last three months, medical insurance, proof of airline ticket and hotel confirmation. 3) Duration of visa - A visa up to 3 months from the date of arrival is available. The ninth largest country in the world, Kazakhstan, is located in Central Asia. Fascinating modern architecture, intriguing archaeological sites, mesmerising mountains, beautiful parks and sublime lakes are the popular attractions of Kazakhstan. One can indulge in fun activities like trekking, mountain climbing and water sports. The best time to visit Kazakhstan is from May to September (pleasant summers). 1) Passport validity - Original passport with a validity of more than six months and minimum two blank pages for visa stamp. Attach all your old passports (if any). 2) Documents - Passport, 2 recent photographs, ticket itinerary, return air tickets, hotel confirmation, foreign exchange endorsement /copy of credit cards. 3) Duration of visa - Visa on arrival can be obtained for a maximum period of 30 days. Nestled in east-central Asia, Mongolia is landlocked between Russia and China. Adorned with dense forests, rugged mountains, lush greenery, mesmerising lakes and rolling deserts, Mongolia is a place where nomadic life still exists. One may indulge in fun activities like camel riding, stargazing in the shimmering deserts, mountain climbing and horse riding. The best time to visit Mongolia is from May to September in the summers. 1) Passport validity - Passport must be valid for minimum six months from the date of entry into Mongolia. 2) Documents - Passport, 1 recent photograph, return ticket, proof of accommodation and sufficient funds covering your stay in Mongolia. The group of scintillating islands of Seychelles lies off the coast of East Africa. Seychelles has formed a repute for its unspoilt beaches, beautiful wildlife, thrilling water sports and amazing nightlife. Seychelles is a year-round destination. However, the best time to visit is between May to September, being the cooler months. 1) Passport validity - Passport must be valid for the period of intended stay until arrival, back in passport holder’s country of residence. 2) Documents - Return tickets, proof of accommodation in Seychelles and minimum funds equivalent to USD 150 per day. 3) Duration of visa - In Seychelles, visa on arrival can be obtained for a maximum period of 30 days. 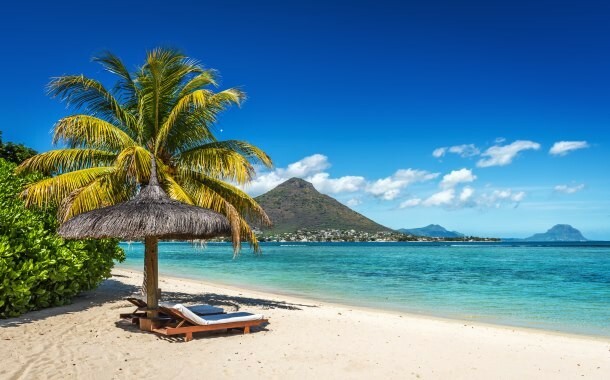 Mauritius, the island with turquoise water and white sandy beaches in the Indian Ocean, is a popular destination among the travellers all over then world. Mountain safari, witnessing the Rochester Falls, swimming with dolphins and exploring the mesmerising marine life are the best indulgences out here. The temperatures are moderate throughout the year with occasional rainfall. 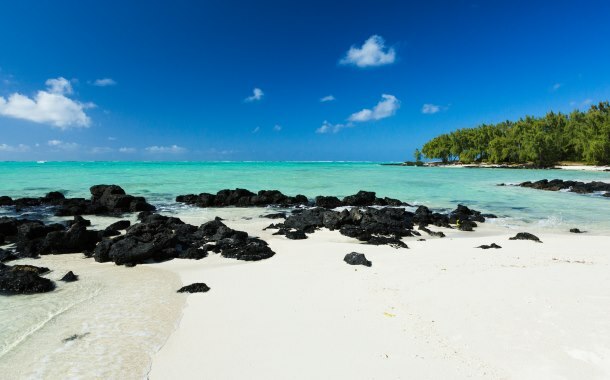 However, the best months to visit Mauritius are from April to June, and September to December. 1) Passport validity - Original passport with validity of minimum six months and minimum two blank pages for visa stamp. Attach all your old passports (if any). 2) Documents - Passport, 2 recent photographs, sufficient forex exchange for the stay, original international credit card statement/foreign exchange endorsement/traveller’s cheque, confirmed air ticket along with the detailed tour itinerary and proof of accommodation. 3) Duration of visa - In Mauritius, visa on arrival can be obtained for a maximum period of 60 days. Tanzania is located in East Africa within the African Great Lakes’ region. Enjoying a safari, hiking the mountains, exploring the wildlife, indulgence in the gorgeous beaches are the popular attractions in Tanzania. The best time to visit Tanzania is from June to October which is the dry season. 2) Documents - Passport, 2 recent photographs, bank statement of last 6 months, proof of sufficient foreign exchange, tour itinerary, tour confirmation, hotel confirmation, return air ticket and yellow fever certificate. 3) Duration of visa - Visa on arrival can be obtained for a maximum period of 90 days with visa fees of Rs 2,500. Kenya, the African country, is blessed with breathtaking national parks, scintillating beaches and fascinating tribal culture. Intriguing wildlife, beautiful forested hills and the tall grasslands of Savannah are the popular attractions in Kenya. The best time to visit Kenya is from January to March and July to October. These are the dry seasons. 1) Passport validity - Original passport with validity of minimum six months and minimum two blank pages for visa stamp, copies of passport pages showing foreign exchange endorsement. Attach all your old passports (if any). 2) Documents - Passport, 2 recent photographs, foreign exchange receipt or credit cards’ photocopy, bank statement for last 3 months, hotel confirmation, tour confirmation, day-to-day tour itinerary, confirmed return air ticket and yellow fever health certificate. 3) Duration of visa - Visa on arrival can be obtained for a maximum period of 90 days with visa fees of Rs 3,000. Colonial persona mystified by the Amazonian rainforests make Eucador the magical land of adventures. The strong presence of Spanish influence in it's culture and way of life, appeal to travellers around the world. From June to September, Eucador experiences bright sunny days with less rainfall. 1) Passport validity - Passport must be valid for minimum six months from the date of arrival into Eucador. 2) Documents - Return tickets, proof of accommodation and sufficient funds covering your stay in Eucador. 3) Duration of visa - Visa on arrival can be obtained for a maximum period of 90 days. When you think of Bolivia, you think of colours. Bolivia is a cultural fiesta. There's vibrancy in the regular parades down the streets and in the daily lives of the locals. This South American country offers you the rarest of rare wildlife and adventures. 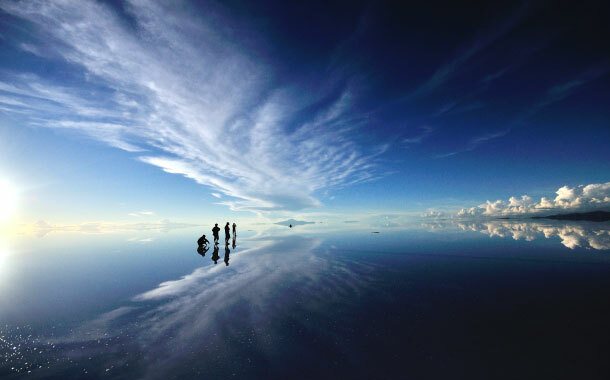 They say Bolivia isn't for the faint-hearted; or is it? The months of May till October are best for hiking. August offers you a grand display of festivals you can't miss. 1) Passport validity - Passport must be valid until date of departure from Bolivia. 2) Documents - Return tickets, copy of itinerary, proof of accommodation or letter of invitation in Spanish. 3) Duration of visa - Indians do not require a visa for a period of 90 days. The island country of Jamaica is located in North America. 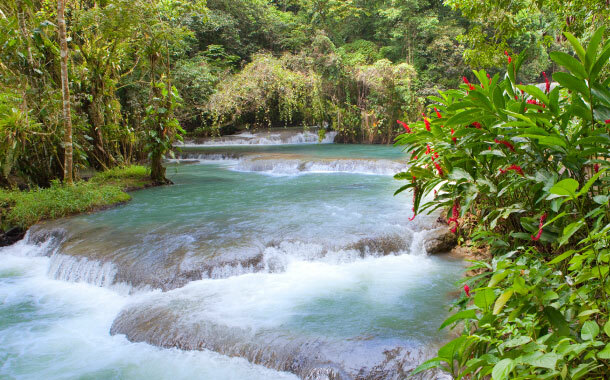 Glittering beaches, breathtaking mountains, emerald seas, mesmerising coral reefs, mineral springs and colourful birds define Jamaica. The best time to visit Jamaica is from October to December which are the cooler months. 1) Passport validity - Original passport with validity of minimum six months. 2) Documents - Passport, confirmed air ticket and hotel confirmation. 3) Duration of visa - Indians do not require a visa for a stay period up to 6 months. Located in the eastern Caribbean Sea, Saint Lucia is a beguiling island with untampered islands and evergreen rainforests. Beautiful waterfalls, green mountains, crescent shaped beaches make this place a hotspot f among global travellers. Hiking the mountains, indulging in nature trails and climbing the volcanic Pitons are some popular adventure activities here. 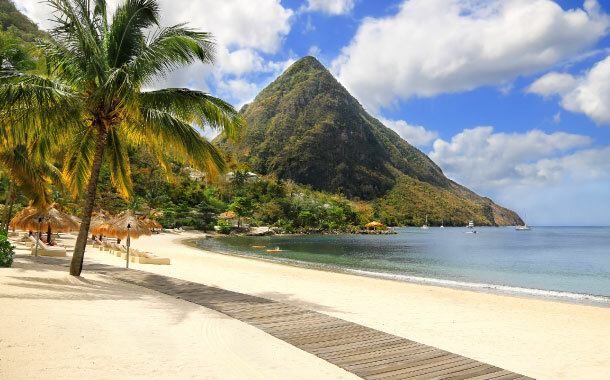 The best time to visit Saint Lucia is from mid-December to mid-April which is the dry season. 1) Passport validity - Passport must be valid for a minimum period of six months from the date of arrival into Saint Lucia. 2) Documents - Return tickets, proof of accommodation and sufficient funds covering your stay in Saint Lucia. 3) Duration of visa - Visa on arrival can be obtained for a maximum period of 44 days. Bermuda is located off the east coast of North America and is popular for its pink sand and blue waters. Fun activities include birding, golfing, exploring wildlife, water sports and whale watching. The best time to visit Bermuda is from April to October (beach season) and November to March (mild and pleasant weather). 2) Documents - Passport, 2 recent photographs, personal Income Tax Return for 3 years, six months salary slip,original personal bank statement for last six months, foreign exchange endorsement/copy of credit card, proof of occupation, proof of accommodation and ticket itinerary. 3) Duration of visa - Visa on arrival can be obtained for a maximum period of 21 days with visa fees of Rs 7,050. Located in the South Pacific Ocean is the Melanesian, Fiji is an alluring island country with finest luxury resorts and beaches. Enchanting forest waterfalls to scintillating beaches fringed with coconut palms, Fiji offers everything in between and is truly a paradise for nature lovers. The best time to visit Fiji is from April to November when the climate is pleasant. 1) Passport validity - Passport must be valid for minimum six months from the date of arrival into Fiji. 2) Documents - Return tickets, proof of accommodation and sufficient funds covering your stay in Fiji. 3) Duration of visa - Visa on arrival can be obtained for a maximum period of 120 days. Comprising of 15 beautiful islands in the South Pacific Ocean, Cook Islands is a part of New Zealand. Crystal clear lagoons, breathtaking palm-fringed beaches and adventure water sports are the popular attractions of Cook Islands. The best time to visit Cook Islands is from May to October in winter. 1) Passport validity - Passport must be valid for minimum six months beyond the stay in Cook Islands. 2) Documents - Return tickets, proof of accommodation and sufficient funds covering their stay in Cook Islands. 3) Duration of visa - Indians do not require a visa for a period of 31 days. Check out our other visas and exclusive flight offers meant just for you. Save now and splurge later!